Kitsap Forest is an area of State Forest land on the Kitsap Peninsula near Seabeck which has never been logged. Although it's a very old, undisturbed forest, the soils in the area are very poor, so the trees aren't gigantic like they are in most old-growth forests here. 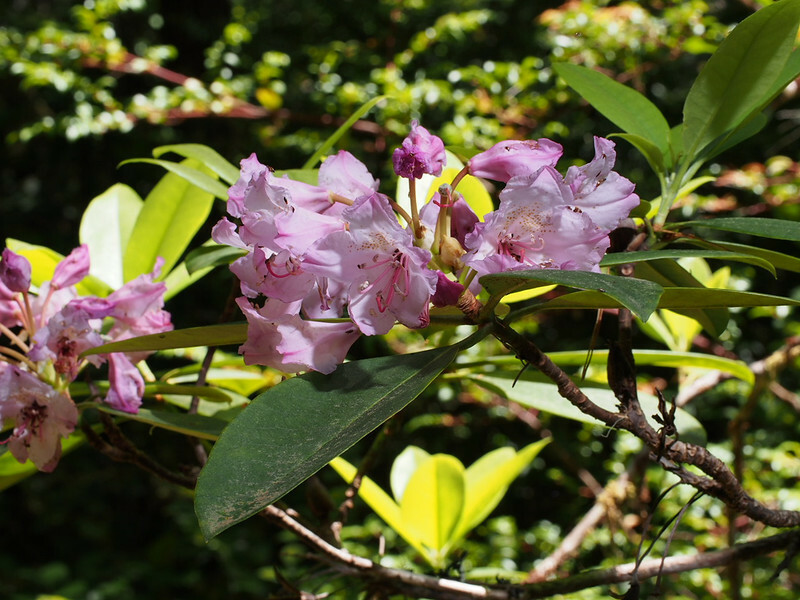 The last of the Coast Rhododendrons (Rhododendron macrophyllum) were blooming. If I had come next weekend, I would have probably missed them.